The invention addresses mobile, hand held, miniature laboratory systems and testing of fluids including bodily fluids such as blood, urine, saliva, and amniotic fluid, as well as non-bodily fluids for industrial, defense and security applications including environmental and food safety. “We are very pleased to be granted our third patent in the U.S. for our platform fluids testing technology on a mobile device. This patent fortifies our IP rights around the Dario Blood Glucose Monitoring system which just launched in the U.S. for the diabetes market,” said Erez Raphael, Chairman and CEO of LabStyle Innovations. “Furthermore, this patent vastly expands the value of our inventions, by extending its applications beyond chronic diseases, into industrial fluids testing which itself is a multi-billion market,” Raphael added. LabStyle Innovations Corp. (DRIO) creates innovative mobile and digital tools that empower and engage users to lead healthier lives. LabStyle’s “Real data. Real time. Real improvements” approach and strategy is positioning the company as a major player in the mHealth industry. 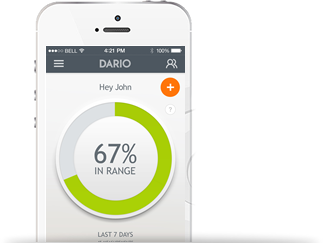 LabStyle’s flagship product is the Dario™ Blood Glucose Monitoring System. Dario™ received U.S. FDA clearance in December 2015 and received Europe’s CE mark certification in September 2013. World rollout began in select countries in December 2013. LabStyle is pursuing patent applications in multiple areas covering the specific processes related to blood glucose level measurement as well as more general methods of rapid tests of body fluids using mobile devices and cloud-based services. For more information, the content of which is not part of this press release:http://www.mydario.com and http://mydario.investorroom.com. This news release and the statements of representatives and partners of LabStyle Innovations Corp. (the “Company”) related thereto contains or may contain forward-looking statements within the meaning of the Private Securities Litigation Reform Act of 1995. Statements that are not statements of historical fact may be deemed to be forward-looking statements. Without limiting the generality of the foregoing, words such as “plan,” “project,” “potential,” “seek,” “may,” “will,” “expect,” “believe,” “anticipate,” “intend,” “could,” “estimate” or “continue” are intended to identify forward-looking statements. For example, we are using forward-looking statements when we discuss our how our new patent vastly expands the value of our inventions, by extending its applications beyond chronic diseases, into industrial fluids testing which itself is a multi-billion market. Readers are cautioned that certain important factors may affect the Company’s actual results and could cause such results to differ materially from any forward-looking statements that may be made in this news release. Factors that may affect the Company’s results include, but are not limited to, regulatory approvals, product demand, market acceptance, impact of competitive products and prices, product development, commercialization or technological difficulties, the success or failure of negotiations and trade, legal, social and economic risks, and the risks associated with the adequacy of existing cash resources. Additional factors that could cause or contribute to differences between the Company’s actual results and forward-looking statements include, but are not limited to, those risks discussed in the Company’s filings with the U.S. Securities and Exchange Commission. Readers are cautioned that actual results may differ significantly from those set forth in the forward-looking statements. The Company undertakes no obligation to publicly update any forward-looking statements, whether as a result of new information, future events or otherwise, except as required by applicable law.